Herbie since I have no idea what Kit from Knight Rider is. Rizzo the Rat or Professor Ratigan? (Kit was the talking car from the TV series "Knight Rider" with David Hasselhoff in the 80s or 90s). I would choose Rizzo the Rat, especially if he's dressed up as Mickey Mouse! How about Chip & Dale or Si & Am? Seeing that I was born in 2002 I wouldn't know who Kit was. Fauna! Watching her make the cake is one of my favorite parts. Cinderella's, haven't seen sleeping beauty's yet. How about Pooh or Tigger? How about Iago or Rajah? Meg's cool, but love Esmeralda's heart. Happily Ever After or Wishes? Would you rather eat a DSF ice cream cone with no hands or a sundae with one chopstick? Mickey waffles or Mickey pretzel? Waffles! Breakfast food always wins. But if they're the Mickey pretzels with cream cheese then the race would be a little closer, haha. Travel back in time or into the future? timeerkat and arielsdinglehopper like this. 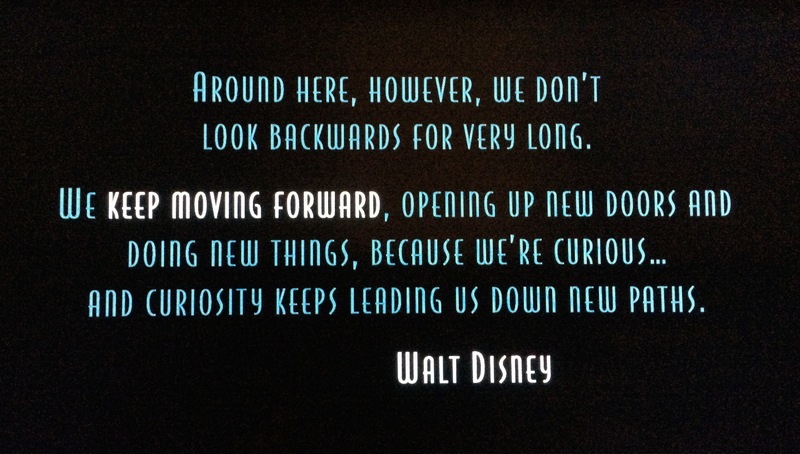 And FWIW, Meet the Robinsons is a very underrated movie. Difficult one: Paint the Night or Main Street Electrical Parade? Easy ! Main street electrical parade ! Not only is it the original, but that song gets stuck in my head. Sleeping Beauty's Castle or Cinderella's Castle ? Dole Whip or La Fou's Brew? Dole whip because we always get o e and I have not had the brew yet. On with the food questions. Turkey Leg or CornDog? Cotton candy or frozen lemonade? Going to have to go with frozen lemonade. Have to get one not only in the land but anywhere we take a trip. Thrill rides or dark rides?